Ultimate zipper blouse in black/raspberry pinstripe. 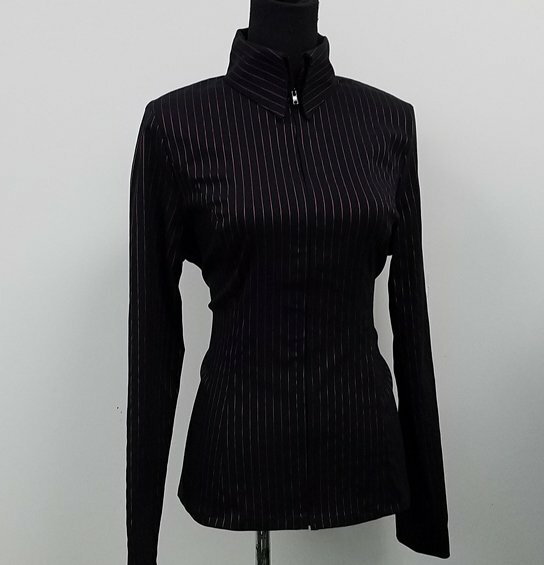 Ultimate zipper blouse in black w/raspberry pinstripe. Comfortable stretch with firm feel. Machine wash, hang dry, cool iron. DO NOT DRY CLEAN. Sizes 0-20.